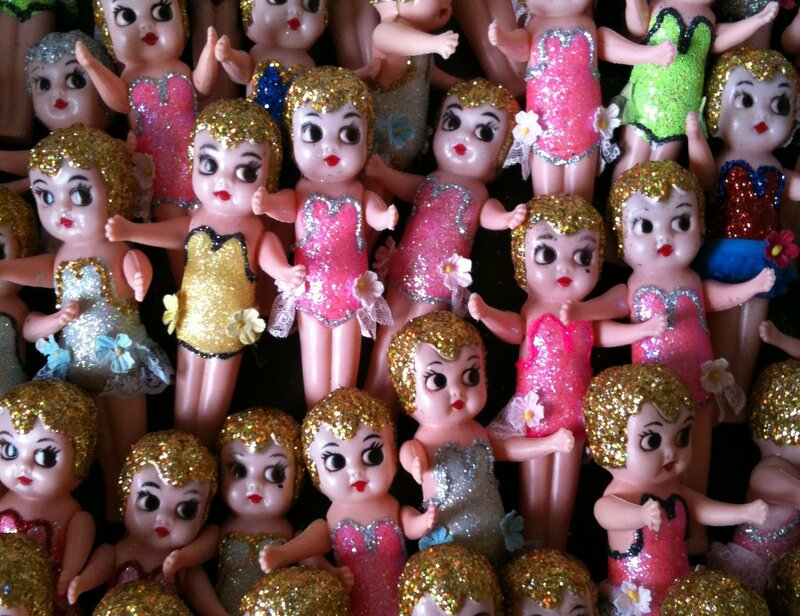 Whenever I see these gorgeous little dolls, it takes me back to being a little girl and going to the Sydney Royal Easter Show. Remember when it was at the Sydney Showground? You could get a kewpie doll with a little tulle skirt, on a stick. These gorgeous girls will be returning to the Showground, well actually, the Horden Pavillion, for the Love Vintage Fair, March 23-25. They are a modern take on the old kewpie's from carnivals. Beautifully decorated and available on a stick if you prefer. My 50's Closet will be there, selling their kewpie's, along with other goodies. If you can't make it to the Fair, My 50's Closet has a store at 40d Point St, Bulli, NSW.